The 6th annual Sustainable Places (SP) international conference on Energy Efficient Buildings and smart grids was the enabler for this 2nd edition of the Proceedings volume (SP2018 – v2). SP aims to build a community of stakeholders whom will ensure the long-term environmental sustainability of ever-growing, densifying urban areas, in a resource-constrained world. SP2018 was once again an official EU Sustainable Energy Week (EUSEW) Energy Day for the 3rd year in a row, and was hosted by CEA, the French Alternative Energies and Atomic Energy Commission, from 27 – 29 June 2018 in Aix-Les-Bains, France. CEA has positioned itself as a leading key player in building the European research area (ERA) through its involvement in more than 400 European projects running in 2016 (194 FP7 projects and 228 H2020 projects). Low carbon energies (CEA Tech LITEN Institute) and technological innovation in digital systems (CEA Tech LIST Institute) are among its key research and innovation activities. Together with INES, the French national solar-energy research institute, CEA was both the SP2018 organizer and co-host with Savoie Mont Blanc University. Join us for the 7th edition of Sustainable Places (SP2019) in the “Green Island” of Sardegna from 5 - 7 June 2019. Advancing the built environment at building, district, and urban scales to include our transport and energy infrastructures, SP is renowned for showcasing results coming out of the EU Horizon 2020 Framework Programme. Each year, Sustainable Places features topics that are shaping how we think about buildings and the built environment. The SP2019 call for proposals and registration are open for a limited time now! On behalf of the organizing committee, we are pleased to announce that the Global Conference on Addiction and Behavioral Health will be held during August 22-24, 2019 in London, UK by Magnus Group. The theme of the conference is “Unifying the new discoveries and advanced approaches towards Addiction” including the highlights of the conference will be the focusing on the importance and role of different types of Addiction, Substance Abuse and Behavioral Medicine and new tools in therapies and researches. The target audience includes Psychiatrists, Psychologists, Addiction Scholars, Drug Abuse Researchers, Addiction Doctors, Addiction Scientists, Neurological Disorder Professors, Recovery Managers and Care Advisors and Counsellors in order to exchange and share their experiences and research results about all aspects of addiction and behavioral sciences. A number of the globally distinguished speakers with the proficiency in the fields are invited. They will introduce the leading-edge research and the future perceptions relevant to the themes enclosed in the upcoming meeting. Besides, oral and poster presentations with the attractive symposiums and workshops are included for more precise discussions. We would like to take this opportunity to invite all researchers and accompanying parties to attend this meeting and to enjoy the rich scientific program and the attractions of London. Conference Committee is looking forward to meeting you in London in August 2019! 22–23 May 2019 VIII International Scientific Conference "Environmental Engineering – Through A Young Eye"
ISMO will provide an opportunity for scientists, engineers, managers and professionals from all over the world to sum up the scientific achievements and to highlight the outstanding problems in the area of environmental engineering. Participation in such a conference would be an excellent possibility to meet colleagues from different universities, to exchange knowledge and experiences, as well as to build up new contacts. The primary goal of the conference is to promote research and developmental activities in an environmental engineering. 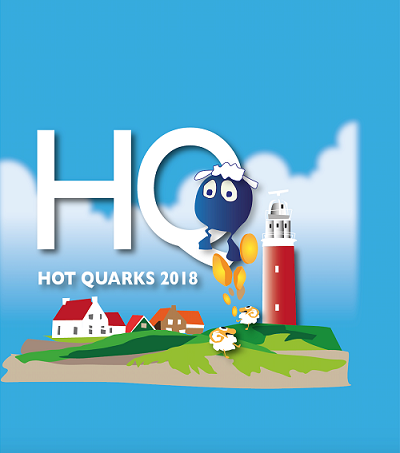 It aims to be a field for scientific information exchange between experienced researchers, engineers and young scientists who take their first steps towards innovations. ISMO attaches importance to presenting and publishing novel and fundamental achievements in the environmental engineering and protection as well as energy and other related areas. Scholars and specialists on ISMO 2019 will share their knowledge, ideas, experiences and present points of view. Our conference will be an international stage to present modern and exceptional study theories, results and their practical applications in related fields. The most recent reports expect average global temperatures to increase by about 1.5 ◦C over pre-industrial levels by 2040, making climate change one of the most challenging problems presently faced by mankind. Moreover, as density population and energy intensity in urban areas grow at an elevated pace, the energy performances of buildings and industries are key components for addressing climate change and sustainable development, with policies already in place in developed countries to promote the construction of near-zero energy buildings and industrial processes with low environmental impacts. This symposium will conclude with a round table of Canadian experts about prospects and challenges in research on energy efficiency in Canada. This conference aims to focus on the scientific research towards finding solutions for the societal issues of our time. TERRAenVISION promotes interdisciplinary collaboration and networking. To bring scientists and stakeholders that have the same goal, work on the same societal issue, but have different scientific backgrounds. By bringing the people and their knowledge together, we may be able to take the steps towards solutions that can bring our society to a more sustainable situation. In this conference we want to link to International policies, and specifically to the Sustainable Development Goals (SDGs). We especially aim to create new formats using interactive methods to facilitate as much discussion as possible. In oral/poster sessions, poster pitches will be standard in each oral session connected to the posters. On behalf of the organizing committee, we are pleased to announce that the Natural Products and the Hallmarks of Chronic Diseases will be held during March 25-27, 2019 in Park Hotel, Luxembourg. On behalf of the organizing committee, we are pleased to announce that the 2nd International Cell Death Research Congress will be held on 01-04 of November 2018 in Izmir/Turkey by Cell Death Research Society of Turkey (CDRS-Turkey). The main topics of the scientific refereed congress will be the focusing on the importance and role of different types of cell death in oxidative stress, immunity, inflammation, stem cell therapies, genome signatures and new tools in therapies and researches. The congress aims to bring together leading academic scientists, researchers and research scholars to exchange and share their experiences and research results about all aspects of cell death and related issues from around the world. A number of the internationally distinguished speakers with the expertise in the fields are invited. They will introduce the cutting-edge research and the future perspectives relevant to the subjects covered in the present meeting. Besides, oral and poster presentations are included for more scientific discussions. The congress will be held in Wyndham Grand Izmir Özdilek Hotel, Izmir-Turkey that has warm climate and called as pearl of the Mediterranean with its long beaches. We would like to take this opportunity to invite all researchers and accompanying parties to attend this meeting and to enjoy the rich scientific program and the beauty of Izmir. Organization Committee of congress is looking forward to meeting you in Turkey in November 2018. 9–12 September 2018 Welcome to the EUROSENSORS 2018 Conference scheduled for 9 – 12 September 2018! Social and economic growth, security, and sustainability, around the globe, are at risk of being compromised due to aging and failing railway infrastructure systems. This partly reflects a recognized skill shortage in railway infrastructure engineering. Emerging risks and their significant consequences, with no sign of early warnings, has been recently evidenced by many extreme events, such as the Nepal Earthquakes, the Madrid train bombing, the Brussels Metro Attack, etc. A great deal of past research has emphasized the applications of technology in solving front-line problems in the railway industry. Although practical knowledge has been developed alongside corporate knowledge, science and technology are still lacking in order to innovate and revolutionize the railway industry from a fundamental principle viewpoint. Many fundamental issues, such as choice of materials, durability, capacity, engineering properties, functionality requirements, and design concepts, remain unchanged. Together with the high turnover rate of technical staff within rail industry worldwide, many incidents have repeated themselves, causing high maintenance costs, service cancellations and delays, and even human lives, due to catastrophic incidents. This 1-day international symposium will address some of the most essential issues currently affecting the safety, reliability and functionality of global rail infrastructure systems. Rebuilding and enhancing urban rail infrastructure faces problems, beyond the search for engineering solutions. These issues resonate with one of the major grand challenges in engineering aiming to restore and improve urban infrastructure and built environments, where it will, not only be necessary to devise new approaches and methods, but also communicate their value and worthiness to society at large. i-RISE 2018 will be hosted by Brno University of Technology. The extended abstracts will be indexed in MDPI Proceedings and given individual DOI (DOAJ). The participation in the conference is free but a fee of Euro 50 will be charged for breaks and lunch. More information, please contact [email protected] for more information or visit conference website at following link. We hope to see you in Brno, Czech Republic in Summer. 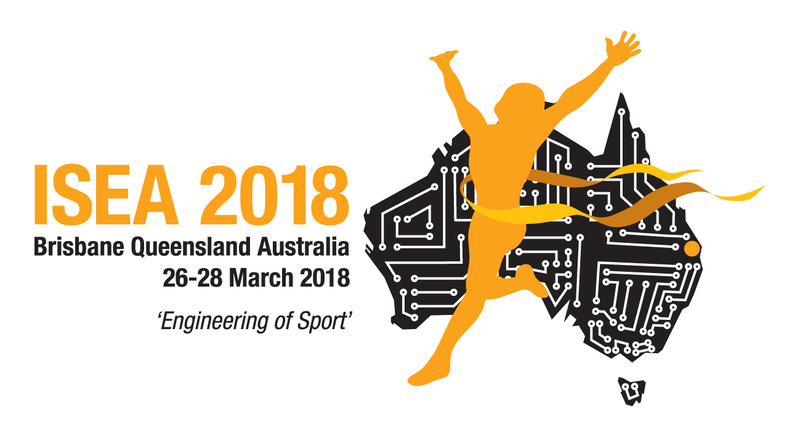 The School of Engineering at Griffith University welcomes you to the 12th Biennial conference on the Engineering of Sport on behalf of the International Sports Engineering Association (ISEA) in Brisbane, Australia from 26 to 29 March 2018 together with Australian Sports Technologies Network. Today more than ever engineering and technology make valuable contributions to the the way we play, watch and compete in sport. This conference brings world leading researchers, sports professionals and industry organisations, together, in one place and on the eve of the Commonwealth Games. Hear from the latest progress in design, mechanical, performance, analytics, textiles and wearables and how they are changing sport. For more information, access our website: http://www.isea2018.com.au. Accepted papers will be published in MDPI Open Access Proceedings. A biunivocal and indissoluble relationship exists between image and imagination, whose multiple manifestations involve heterogeneous, and at the same time contiguous, research path: there are images that embody the imagination of their author (drawing design) and images that try to go back to his original intentions (survey drawing); images deeply rooted in real space (geographical maps and city images) and images acted in one necessarily imagined space (virtual & augmented reality, utopian city or piranesianic spaces); images that intentionally alter the perceived reality (photographic manipulations) and images that result from deception or alteration of perceptual schemes (anamorphic representations and dysperceptive phenomena); images that make narrative paths (visual storytelling) and educational images capable to form the knowledge, the know-how and the knowing how to be (iconography and iconology didactics); images that enhance the narrative experience of the child (illustration for children), and experiential images that integrate space and time (children’s drawings); images that stimulate the imagination of their user (visual design) and interactive images that support the imagination of the urban planner (processing and visualization of territorial data). The images as visual artefacts, “designed objects”, perfect synthesis between Eidos and Eidolon, represent and contain entire worlds, real or imaginary, in the space of a glance. This glance represents the limit between the pre-perceptual characteristics of the image and its pre-projective characteristics. This glance is the retinal boundary between what an image is and what an image means. The conference aims to investigate this gaze, through the comparison of contributions from different scientific perspectives, with the intention to shed new light on historical questions and to draw new ideas and applications for the future of the images.